M* Money Madam : Is One million dollars enough for the next 20 years? Is One million dollars enough for the next 20 years? There is a good chance my husband and I could live another 20 years. When we were 4 years from my husband’s anticipated retirement, I made a spread sheet that would predict how much money we would need to fund the lifestyle we dreamed up. Fast forward 17 years and I can see a pattern here. We expected our expenses to double from the time he retired (1999) and 20 years later 2019 and we were not far off. Our expenses have basically doubled already. Lucky for us so did our income. We benefited greatly from owning investment grade bonds that we sold during the great bond bull market. The only investment grade bond we ever owned that defaulted was GM. Our experience with bonds supports the concept that investment grade bonds are safe investments indeed. Although today, they are way too expensive for us and there will be no bond bull market during the next 20 years. Our dividend stocks performed exactly as they were supposed to by paying us ever increasing dividend income. I did not do as well personally as my model portfolios in this area. (See final table.) We have suffered through dividend reductions or suspensions from 6 stocks. Whereas my model portfolios had only 4 stocks that reduced or suspended dividends. Again, our 17 year experience with stocks has been riskier than bonds but very manageable. Our coffers were also filled through real estate. I do not include our principal residence in the real estate investment portfolio. I include other real estate holdings such as general partnerships, limited partnerships, and REIT’s. Real Estate has delivered our worst losses which seemed devastating but also some of our best gains. Moreover, year over year, income from real estate beat the other two investments hands down. Where do we go from here? We are not going to benefit from a great bond bull. We have to concentrate on stocks and real estate. I do own some high yield, discount bonds but they are pretty scary even for a professional (retired.) Most of our future will depend on the stocks we own in our qualified retirement accounts. The income from those accounts need to make the minimum required distribution required by the IRS. This is a compounding challenge as each year we grow older, we are required to take out more and more. Therefore, we have to create more and more income within the portfolio so that we do not tap our principle to fund our lifestyle. Several years ago I wrote a post about three categories of investors. One category includes investors who want to grow their nest egg. Another category of investors need to keep their principle whole while still funding their income. The third group are what I call “sinking fund” investors who subscribe to the idea that it is okay to invade their principle to fund their retirement. Your strategy for managing your retirement stock portfolio will vary based upon which kind of investor you think you are. We expect to minimally maintain our principle and grow it as needed. In this post I will concentrate on the income portion of a stock portfolio with the distinct goal of creating enough income to maintain the same lifestyle we have today in 20 years. Let’s use a $1,000,000 retirement portfolio for the ease of calculation as well as the benefit of size. I have created a theoretical couple based somewhat on our personal experience and somewhat on the experience of my former clients. We have two retired people who own their residence(s) without mortgage. They have saved $100,000 outside of retirement and receive about 3% of income from that source. In addition to this $3,000 per year they have only social security income and income from their million dollars in qualified retirement savings. These people have enough emergency cash money that they never have an interest rate charge or late payment. 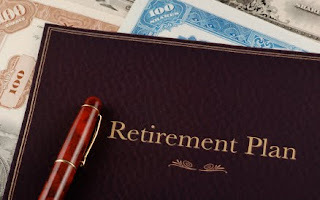 Last year income from their retirement portfolio equaled about 5.8%. This came mostly from dividends and covered call premiums with some interest income from high yield bonds. These folks are able to live off of their social security, personal investment income and this $58,000 of portfolio income. Moreover, their RMD is less than the $58,000 so although they will have to pay tax on the $58,000 of income, they also do not have to worry about selling any securities to make their minimum distribution at this time. Now they want to plan for 2026 and 2036. My 20 year plan uses the assumption that social security will increase at a very slow pace, much lower than inflation. Cost of living increases will be low and additional deductions to pay for Medicare or for means testing suggests to me an annual increase of .5% is all I will count on. If I am surprised by greater increases that would be a pleasure but I am not counting on it. On the other hand, I expect my dividend increases to average 4% per year. I invest with this goal and expect to attain it based on my history. Yet with all of that said, we need to manage the qualified retirement portfolios (IRA’s etc.) to create both the required minimal distribution and the gains that are necessary to fund our lifestyle in 10 or even 20 years. What will we need? Do I really believe that my expenses will be twice as much as they are now in 20 years? Yes, believe it. Here is a simple example. In 1996 we bought a vacation condominium to be nearer family. In 1996 the quarterly maintenance was $770 and the annual taxes were $700. In 2016, a quick 20 years later, the quarterly maintenance is now $1510 and the taxes have been as high as $2,100 but are back to $1,400. That is a double no matter how you add it up. We want to keep that apartment and it reinforces the need to realize that you must manage your money in a way that provides for two times the income you have today because your expenses will double as well over the next 20 years. For every dollar you think you will not need to spend on dry cleaning, or entertainment or eating out less as you age, you will spend it on help; housekeeping, maintenance, traveling, health care help. Without making any material change in our lifestyle, history tells me that my expenses in 20 years will be double what they are now. In 2015, our theoretical couple lived comfortably on an annual income of about $84,000 per year or about $7,000 per month. If they continue to realize a 5.8% yield on the total portfolio they will not have the cash flow they need to fund their lifestyle in 2026 or 2036 unless they grow their principle. The table below shows how their investment plan will need to change to provide for their lifestyle in 2026 and 2036. In order to be cash flow neutral the retirement portfolio will need to increase by 5% every year for the first 10 years and 3.4% ever year thereafter a challenging goal. What if we increase the yield? Perhaps a period of mega inflation will occur during the next 20 years and you could move into a laddered portfolio of 20% bonds. This has happened before and in my lifetime; don’t dismiss that idea. Yet, a more likely scenario is steady but slow growth in cash dividends and stock prices. Now let’s look at those dividend stocks and see what we need. Of the $58,000 of cash the portfolio creates, dividends contribute $42,000 or 72.4%; covered calls contribute $14,000 or 24.14% and bond interest contributes $2,000 or 3.46%. If dividends increase on average y/o/y 4% what would the portfolio look like in 2026 and 2036. The table below illustrates a 4% annual growth of dividends will not make their plan work either. In this scenario, principle remains stable and we are counting on dividends to increase 6.25% per year the first 10 years and 4.25% thereafter. It is hard enough to find 4% solid dividend stocks as but then also find a group that increase the 6.25% per year is difficult. Of course, the value of the portfolio will move up and down with the market. It is highly unlikely the principle will remain the same for 20 years. Just being in the market suggests that some increase in principle would be realize since, this couple should not have to tap into their principle. This performance is not impossible but it is challenging. Another scenario is to grow the principle then reinvest that growth in 4% dividend stocks where the dividend grows at 4% per year. During their first 10 years, the original dividends will grow 4% y/o/y. At 10 years, principle will have grown by 2% per year. That additional $219,000 dollars will also be invested in dividend stocks yielding 4% and growing the dividend by 4% per year. Dividend growth will continue for the next ten years. At that time the portfolio can stay stable and they can live off the 11.5% income created on their principle. The amount of principle growth needed is pretty modest; 3.2% each year for the first 10 years followed by no need for growth. At this point, tapping the principle is o.k. At 90 years old, I can envision several situations that might require redemptions. See the table presented below. You may find these exercises troubling or comforting. You may think you will not be able to support the lifestyle to which you have become accustomed or may see the variations on these scenarios that make a good lifestyle available for you. Let’s look at my 2011 Model Portfolio. This portfolio is 5 years old; you can see that principle has increased already over 70% and dividends have increased over 28%. This experience suggests it is not that hard to meet your goals. The data are in the final table presented below. You can do it. I reinforce that you must put pen to paper, computer to excel and create your own spread sheet. Don’t lie to yourself but don’t be afraid to find out.